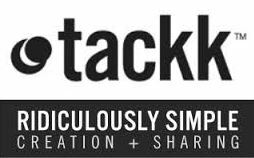 Danjjroberts | Have you tried Tackk in the classroom? Have you tried Tackk in the classroom? I first heard about Tackk this week from an ex colleague @kimberleycroft who is Head of Social Sciences in Kuala Lumpur and does some great things with ‘Flipped learning’. We were talking about different web tools over twitter and she mentioned this. She shared one of her Tackk’s with me here which is much better than mine, particularly as I only had 15 minutes spare to create mine but I just wanted to try it out to see what it was like. It is a great easy and free way to create a simple website or I guess aggregate information for students for example I used it for 15 minutes to create a revision aid for my Year 8 science class as an additional resource to revise from. It is fantastic because you can add text, embed videos, files, audio and other weblinks to just one page and it looks great. All you need to do to use it is create an account and register and away you go. Here is what I put together after just 15 minutes.